The Westinghouse Video Doorbell is easy to install and connect to your smartphone via our app. Receive instant mobile alerts for rings and motion detection and communicate directly with visitors from anywhere in the world. Watch a live feed of the outside of your home at any time or choose to record and store doorbell call history to the cloud. For added security, enable the optional 24/7 video surveillance feature within the app for round the clock security and peace of mind. With multiple ring sounds to choose from, the Wireless Chime could not be simpler to install and pair with your doorbell. The SL-4166-SA features 150 motion detection up to 30 ft. away. The lantern has clear beveled glass and is constructed of metal with a weather resistant finish. Uses 1 medium base incandescent bulb (100W Max - Not Included). Features include DualBrite 2-Level Lighting. The Heath Zenith Wired/Wireless Designer Door Chime offers 10 different tunes for you to choose from. This versatile door chime can be installed wired or wireless and offers a wood frame finish with a satin nickel scroll insert for stylish appeal. Nest Hello lets you know who's there, so you never miss a visitor or a package. It can tell the difference between a person and a thing, then alert you. And because it's wired, it streams 24/7, so you can check in anytime. Or go back and look at a 3-hour snapshot history to see what happened. Wifi-Enabled Video Doorbell in Bright Silver with Wireless Chime The Westinghouse Video Doorbell is easy to install and connect to your smartphone via our app. Receive instant mobile alerts for rings and motion detection and communicate directly with visitors from anywhere in the world. Watch a live feed of the outside of your home at any time or choose to record and store doorbell call history to the cloud. For added security, enable the optional 24/7 video surveillance feature within the app for round the clock security and peace of mind. 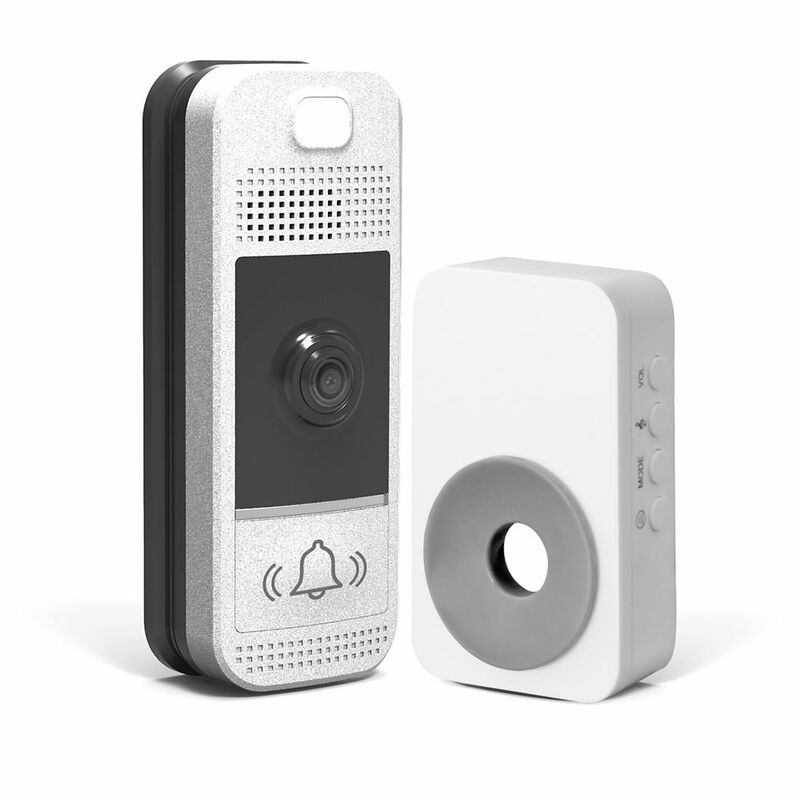 With multiple ring sounds to choose from, the Wireless Chime could not be simpler to install and pair with your doorbell.